Embark on a transformative learning journey with Bridge 47! Are you interested in making your educational work more transformative, empowering and emancipatory? Join Bridge 47 on a transformative learning journey with the aim of tackling the root causes of global crises through education. ‘Tackling the Root Causes of Global Crises through Education – A Transformative Learning Journey’ is now open for applications. 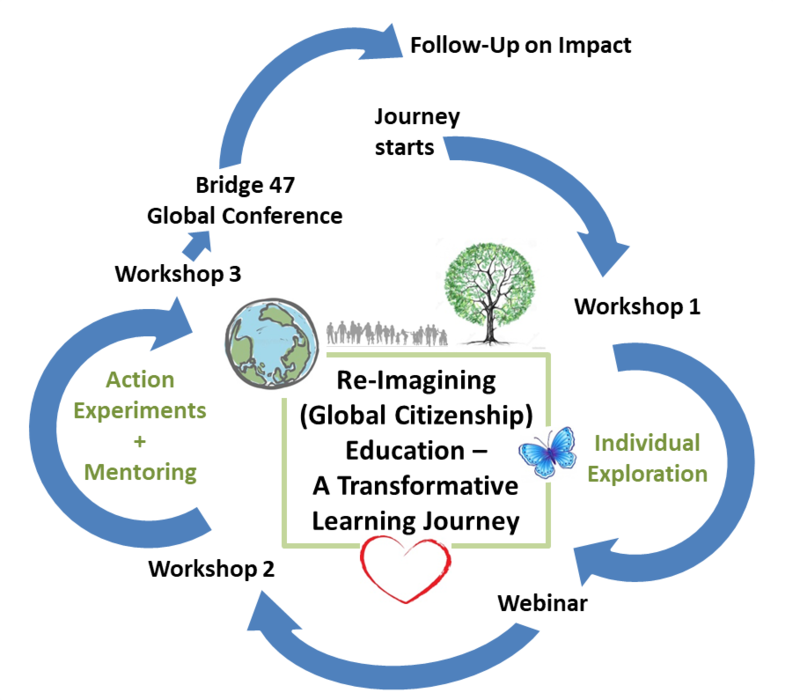 The journey is tailored for staff members of civil society organisations engaged in the field of Global Citizenship Education (GCE) as well as change-makers and activists who work with education as a tool to facilitate transformative change. The journey invites participants to reflect upon their own educational practices and underpinning theories of change and expand them by learning from each other. After having completed this journey, we envision that the participants and their organisations have an increased ability to use transformative approaches to GCE and become leaders of systemic change in their organisations, networks and social contexts. The journey consists of three physical workshops and webinars, as well as online mentoring, individual research, and an action experiment. It will start in October 2019 and conclude in June 2020. Apply to be a part of this exciting journey by 14 April 2019 (please note the deadline has been extended by a week). Participants are asked to pay a participation fee based on a solidary self-assessment. More details and a link to the registration form are available in the attached call.